Dollops of Diane: Big Apple Circus Metamorphosis: Review and Discount Code! 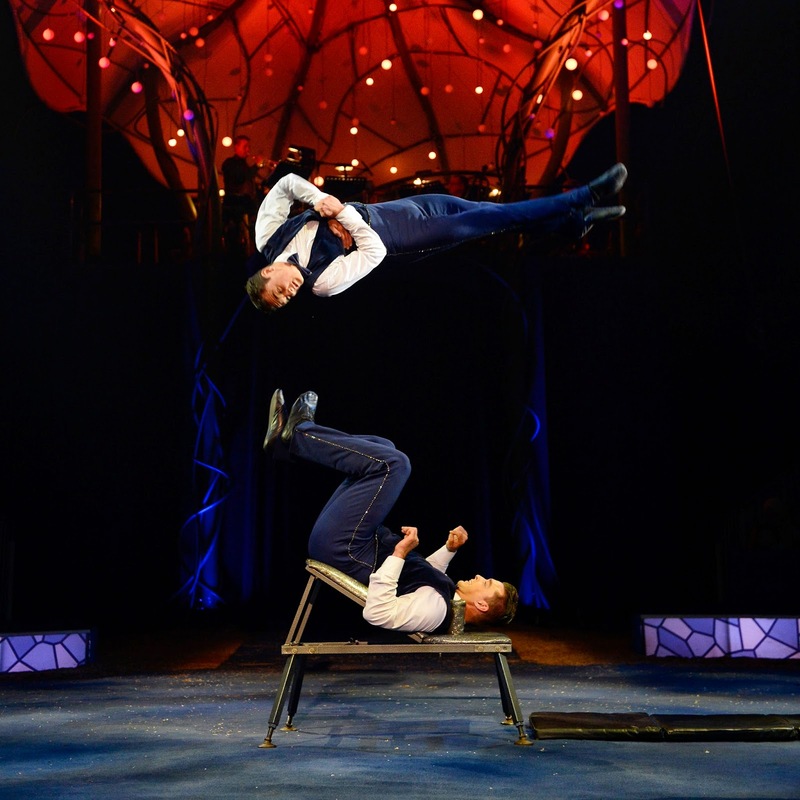 Big Apple Circus Metamorphosis: Review and Discount Code! 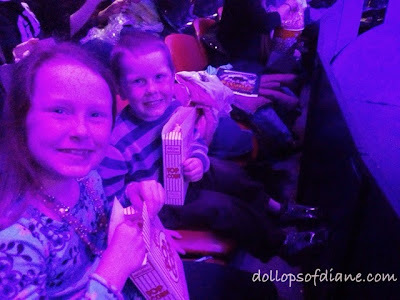 Isabelle, Daniel, and I headed to Boston yesterday to see the Big Apple Circus. It was supposed to be a fun, entire family trip but poor Henry has been sick since Thursday night and wasn't up for the big show. Luckily, Henry was able to go all by himself with me last year and the kids and I brought him home a souvenir this year to help soften the blow. Neither Isabelle nor Daniel had been to the circus before so they were beyond excited when I broke the news to them in the car. They were thrilled to enter the tent and take in all the magic and excitement. Before heading to our seats, I picked them each up a box of popcorn from the concession stand. 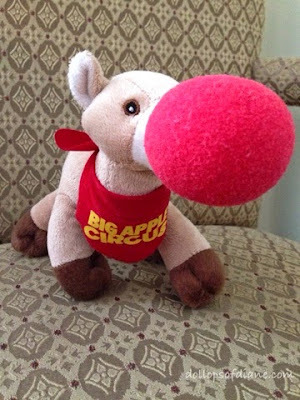 One of the things that I like about the Big Apple Circus is that the food, concessions, and even (some of) the souvenirs are not as outrageously priced as at other big events. Boxes of popcorn (which are plenty big enough to share except I was having them eat it in lieu of dinner!) were $4/each. Not nearly as bad as some other shows (or even the movies!). We then headed to our seats and Isabelle nearly died when we realized that they were in the front row. We couldn't have been closer to the action if we tried! No matter where you are though, you are not far from the show. Each seat under the tent is no more than 50 feet from the ring. It is close and intimate! Daniel (age 4) was a little nervous about Francesco the Clown because he was doing silly things with people in the audience and bringing some people (including my friend Sharon's family members!) into the ring. I assured Daniel that I wouldn't let the clown touch him or bring him in the ring and that seemed to be enough for him. The whole show was amazing though. Isabelle said her favorite act were the Anastasini Brothers when they foot juggled EACH OTHER. Yes, why juggling bowling pins when you can juggle your own brother on your feet? Daniel's favorite act was when the Aniskin Troupe did twists and turns at ridiculous heights on the trampoline. They were also the same guys who did the trapeze act. Seriously, no fear of heights (or falls! with them! My favorite act this year was probably Vladimir and Olga Smirnov who did a crazy costume change act. Although it doesn't sound like much, Olga seriously changed costumes in the blink of an eye. She must have had at least 15 different outfits on in a 5 minute time period and changed them all right in front of us! How did she do it? Where were all the costumes hidden? More importantly, can I teach my kids to get changed that fast?! Oh, and the animals this year! So, so many! I am pretty sure last night was the closest I will ever be to a camel in my life. At one point when a horse was running around the ring, he stuck his head out and Daniel and I both jumped back in our seats because he was so close. We then both burst out laughing. Really, I think that's what the whole circus is about - unexpected moments and lots of laughter! Big Apple Circus presents METAMORPHOSIS in its annual Boston engagement at City Hall Plaza from Tuesday, March 24 through Sunday, May 10, 2015. Save 20% per order for select performances, use the code APPLE* when buying tickets online at http://www.bigapplecircus.org/ or by phone at 888-541-3750, and at the box office. **Disclaimer: My family was provided complimentary tickets to the show to facilitate this review. As always, all opinions are my own!